Do you want to enjoy your retirement under mild climate, in a safe environment and stable economy? Retire in Europe and enjoy the good infrastructure and high culture. Where to retire in Europe? 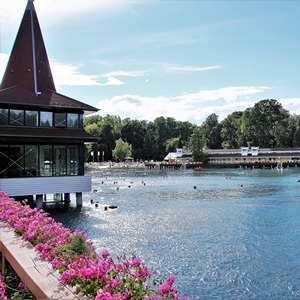 Europe offers various attractive destinations for those who want to retire in Europe. Many prefer either the continental or the mediterranean climate, so Italy, Tuscany, France or Spain are all popular. Apart from the climate, infrastructure is often considered an important factor, meaning not only means of transportation, but also the available healthcare system and recreational facilities. 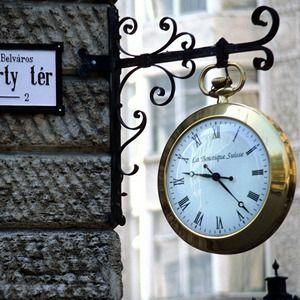 Hungary is ideal if you are planning to retire in Europe. Its central European location and good infrastructure makes it really comfortable if you want to visit any other European capitals. At the same time, the living costs in Hungary are significantly lower than those in Western Europe, while the climate is just as good, and the same consumer goods are available. Hungary is also famous for its baths and spas, while the healthcare system is also highly developed. How to immigrate to Europe? There are various ways of getting a residence permit in Europe. Hungary offers the easiest and fastest procedure for residence permit application. Just choose the one most suitable for your situation. The fastest and most convenient way to acquire a permanent residence permit is to invest EUR 300,000 into Hungarian government bonds. This investment makes you eligible for the permanent residence permit, which will be valid for good (you just have to renew it every five years). After 5 years, the investment is returned to you, so the real cost of this venture is only the EUR 60,000 processing fee. Learn more about the Hungarian Investment Immigration Program here. UPDATE: the program is to be suspended from 1 April, 2017. Apply now, while you still can! Hungarian residence permit through company formation. Another fast and convenient method is Hungarian company formation. Business immigration is when you set up a Hungarian company, and you will be granted a residence permit (as your presence is required in Hungary for operation). Helpers can help you with only the company setup or with the whole business immigration procedure, as you deem it necessary. You may also become eligible for a Hungarian residence permit through property investment. If you purchase a real estate as an investment, you can set up a company for managing your own property (managing rental fees, maintenance, etc. ), and you already qualify for business immigration. Yes! Even if you are coming to retire in Europe, you can still set up a company. Choose property investment and let professionals handle both the investment and the residence permit application. Contact us today and find our more! Call our Lívia on +36.1.317.8570, or send her a direct mail to livia@helpers.hu. Even though the Hungarian Residency Bond program is suspended, there are plenty of opportunities for international investors to get a Schengen visa and settle in Europe. 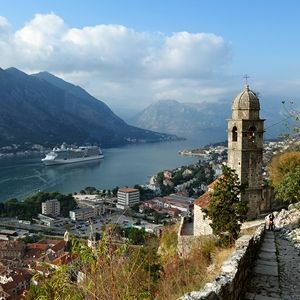 One of the newest programs is the Montenegrin citizenship program. If you have a permanent residence permit, you can simply renew it without meeting any further requirements. Naturally, you will need some supporting documents, partly depending on whether you and/or your family members actually live in Hungary.